It was just another typical day at Dana Hall. I went to the Library right after dinner to study for a test I had the next day. While I was focusing on the materials, I heard a familiar voice “The library will closing in 15 minutes.” Suddenly, all the lights flickered on and off. I’m sure that if you are someone who often stays in the library late at night, this voice will sound familiar to you. It was the voice of Anotidaishe Chikunya, or as you probably know her, Ano. “How can I help you?” She asks every person who comes to the front desk to check out a laptop charger, or ask for help to find a book that they are interested in. Besides answering these questions and assisting the people in the library, Ano also makes the crafts that decorate the bookshelves. The current piece of decoration is celebrating Black history month. It depicts a black woman with an afro and colorful flowers in her hair. It was the first black day of the year and my first week at Dana when I met her in my senior forum class. While I was sitting down in my chair quietly, a girl who sat next to me started introducing herself to me. Quickly, she became my first friend at Dana, her name is Ano. My first impression of her: she seemed very warm, welcoming and open. She was dressed in a black dress and heels with hoop earrings. She was absolutely gorgeous. Now, we usually meet in sweatshirts and sweatpants instead. Ano is eighteen. She is originally comes from Zimbabwe, Africa but her family moved to Kansas when she was little. She is also bilingual, speaking both Shona and English. This is her second year at Dana Hall School. She enjoys theatre, yoga, tap dancing and performing poetry. 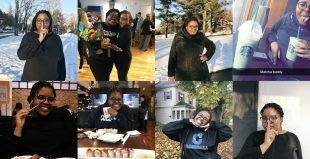 One day, I was scrolling down my instagram and found a post from @danathedragon that said “A.Chikunya ‘19 moves on the the finals in NYC!” It was Ano, my friend, holding flowers with a huge smile. It was at this moment that I realized, Ano was not only my friend, but also a talented actor, an incredible scholar, a hard-working library page , and someone who does not play around. When I visited her to conduct an interview, the first thing that I noticed when I entered Ano’s room was the scent of caramel. I looked to the left and saw the coffeemaker and the box of starbucks caramel coffee pods right next to it. Her room was clean and well-decorated. It always give me a feeling of coziness, and the warm light in the room made me feel at home. Ano told me that she began performing poetry in her 7th grade. “It was the time that I found out that I like writing and I ended up writing poetry” she said. Since then, Ano has competed in 35 competitions, 4 state and 2 national. Having this conversation with Ano was a little weird since we are friends and I have never had a conversation this formal with her before. I asked her more about what is the most difficult part of poetry competitions, and she said, “I don’t really have a problem with performing. It’s always something that happens to me before I perform. So this is kinda funny, I was wearing a really short dress and tights. Right before I went on the stage, I turned around to say something to a guy that I thought was cute, but I also got my tights caught on something and they ripped. My legs were totally exposed. Doesn’t it answer the question your question, Dara?” and then we were exploded with laughter. 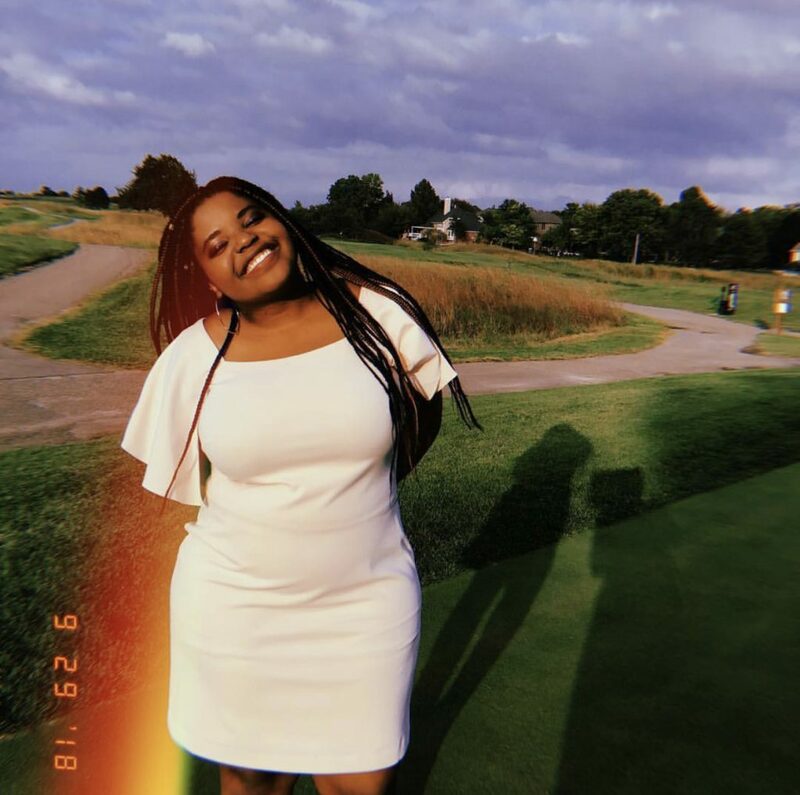 She gave tips for people who are interested in performing poetry, “Find poetry that doesn’t speak to your stereotype but it speaks for who you are as a person. Often times, people expect a person who looks a certain way to perform a certain type of the poetry and if that person doesn’t necessary identify with that poetry then they shouldn’t have perform it.” I was very impressed by her answer and her self-assured tone showing that, when she said those sentences to me, she really meant them. I gave her this compliment and she responded, “really wow, because I put that one right out. I was like, Whoaaa what do I say? Sis!” She looked at me and gave me a sassy pose. Then we were both laughing until we were almost out of breath. She kept me laughing, saying her special talent, “I can make a taco with my tongue.” It seems unrelated to the rest of the article, right? She insisted to me that this sentence should be somewhere in my article. Ano is going to compete in the national August Wilson Monologue Competition in New York City on May 6th. You all can cheer her on, send her your support, or follow her instagram @Anochikunya. Let’s all keep our fingers crossed for the potential next poetry champion of the US. from Dana Hall School, Anotidaishe Chikunya!